Dangerous Flash Flooding is ongoing across parts of our region with more rain moving through the area tonight. 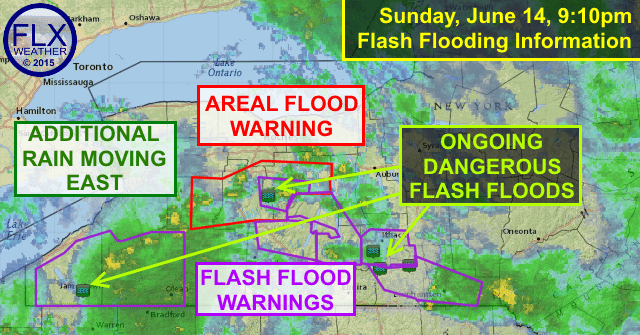 Areas in purple are under flash flood warnings, with dangerous flooding currently occurring, included washed out bridges and roads and evacuations of homes. It is VERY important to realize flooding becomes more dangerous at night, as it is harder to properly analyze and see the danger. Regardless of time of day though, never drive through a flooded roadway! Your car may be swept off the road…or the road itself may not even exist anymore! I haven’t been home either day this weekend to post more updates. Additional rain and thunderstorms are possible Monday and Tuesday. More details on that Monday morning.